Could a cheaper, slimmer PS3 be on the immediate horizon? 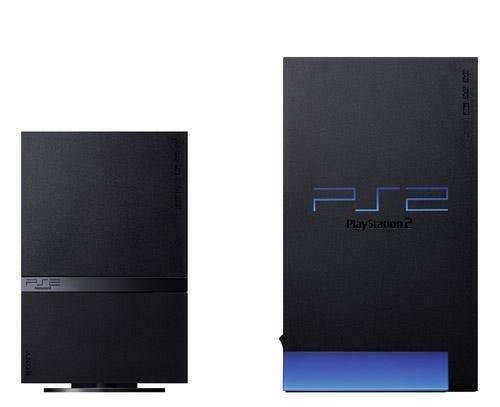 The PS2 Slim was significantly smaller than its PS2 predecessor. Could a similar evolution be coming to the PS3? Who needs real news when we've got rumors! And what better rumors are there in the gaming universe than some new PS3 Slim rumors? This week, Kotaku uncovered a document from a 7-Eleven in Japan, which reportedly was issued from Sony, asking stores to stop taking pre-orders for 80GB PS3s starting August 9. Sounds a little fishy, but then again, there have been so many bizarre little incidents lately revolving around the PS3 Slim, it's getting hard not to believe that Sony is definitely up to something. "Significant orders for key Sony PS3 components from IC distributors, with average monthly volume enough for making one million units of the games console in the third quarter, double the average in the second quarter, according to sources with IC distributors," reads an except from a DigiTimes article. What that could mean is that Sony is ramping up for a new PS3 or something completely different that we didn't see coming. They certainly don't need to make any more current PS3's as sales haven't been too hot, and with all the predictions, speculation and photographic evidence surrounding the PS3 Slim, it's looking more and more plausible. As Joystiq notes, people are already claiming that the PS3 Slim will have an official announcement coming out "later this month" during the GamesCom convention in Cologne. They claim that the system will appear at the convention and be ready for purchase come this holiday season, and will come in two different versions -- a 40GB and an 80GB -- and will include two, as of yet, unnamed games. It will supposedly have a cheaper price than the current PS3, which in reality is all most are asking for in the first place. If it comes in a slimmer model, all the better. Whatever it is that Sony is working on, let's just hope it equals more happy gamers, with happier wallets.